Saturday, June 21st started early for the ride to WVa. out of NC. It was sunny, blue sky summer day, with mild warm high temps into the low to mid 80’s. NRG was running about -0.60 ft. which with its size and volume is still plenty of water. In fact with not much rain for the last few weeks it was one of the few rivers around runnable. 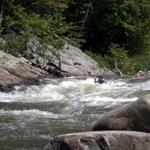 The gorge is a beautiful section of river running from Cunard put in to the take out at Fayette Station WVa. 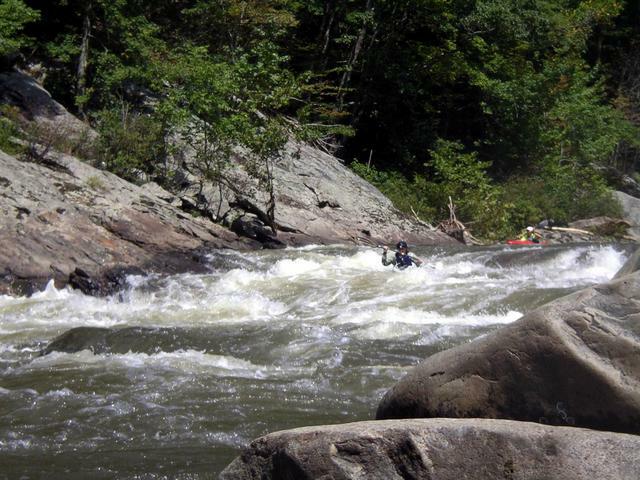 with most rapids of significance in the class 3 to 4+ range. 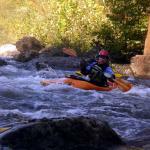 This was my first experience at the US National Whitewater Center, in Charlotte NC. After meeting up with Darron and a couple of others, we geared up, paid our fee’s and slipped our boats into the upper pool. Well it started with Eric R. posting about interest in doing the Pigeon this Saturday earlier in the week. 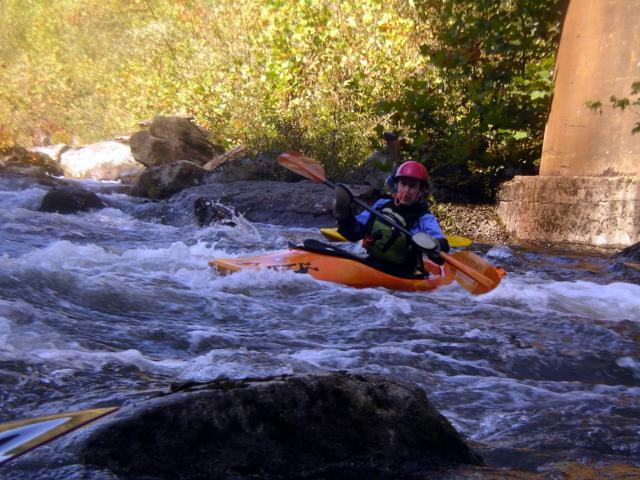 Lack of rain was starting to leave a lot of rivers low, so with Pigeon-Waterville released started for the season, serveral of us worked up a day trip run. Eric R., Robbie G., Karol G., and myself Paddlin-ed all piled in the car with our kayaks and head out for Waterville at the Tenn.- NC line of I-40W for a day on the Pigeon. 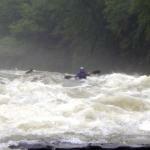 There we where joined by two other paddlers, Jack in OC-1, and a newcomer to the Pigeon Don A. in K-1. 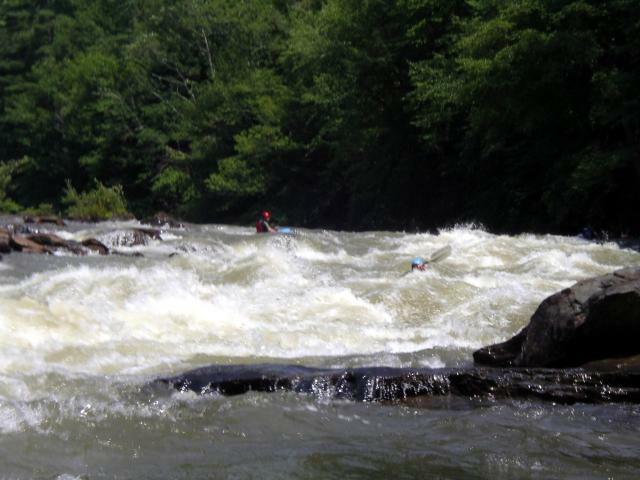 Memorial Day Weekend brought this years Mean & Ugly CCC trip to the Ocoee, with a group of around 12 paddlers, all K-1, gathering up at the middle put in on Saturday May 24thfor a 1st day’s event of both upper and middle Ocoee. 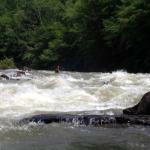 The day was sunny, warm in the upper 70’s and the Ocoee release was full and high, just plain great conditions.